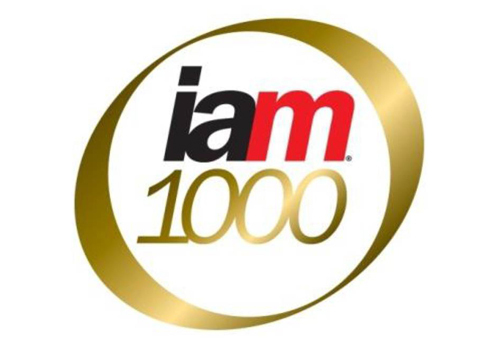 WTS Patent Attorneys – Witek, Sniezko & Partners are very pleased to announce that the firm has been ranked as ‘recommended’ in the 2017 edition of IAM 1000: The World”s Leading Patent Practitioners. Our office was again rated as one of the top firms for patent prosecution in Poland. WTS Patent Attorneys – Witek, Sniezko & Partners was again rated as one of the top firms for patent prosecution in Poland and was particularly noted for our dominant position in invalidation proceedings in the pharmaceutical field and biotechnology disputes. Moreover, according to published results of IAM’s survey “WTS Patent Attorneys excels in all things patent related, from meticulous searches and assistance in European validations to multifaceted litigation for large generic pharmaceutical manufacturers. Its dexterous practitioners have all manner of instructions effortlessly sewn up, but are especially adept in the biotechnology, chemistry and medical sectors”. Two of our partners were also individually recommended in the ranking of outstanding patent prosecutors in Poland. Andrzej Witek has been awarded as the perfect collaborator in technically demanding suits. Moreover, according to results of IAM’s survey Rafał Witek garners praise for his pragmatic approach. “He holds a strong position in the biotechnology market” and is “a smart individual who implements strategies very well”.